Singapore/Mumbai: Fitch Ratings has today affirmed India-based IDFC Limited’s (IDFC) Long-Term Issuer Default Rating (IDR) at ‘BBB-‘ with Stable Outlook. The rating has simultaneously been withdrawn. 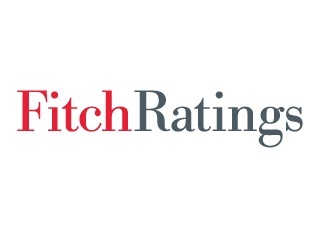 Fitch is withdrawing IDFC Limited’s rating as the rating is no longer considered to be relevant to the agency’s coverage because the company has demerged its financial business into a separate banking subsidiary, IDFC Bank Limited. As part of the reorganisation, IDFC Limited has transferred the bulk of its assets to the newly formed bank and assumed the role as the ultimate holding company of the group. IDFC’s IDR is driven by its standalone credit strength and factors in our expectation that IDFC’s profile will ultimately benefit from its transition to a bank. The rating affirmation is underpinned by its capitalisation and factors in structural changes to the group’s business and risk profile with IDFC’s banking foray. Capital is still the strongest metric supporting IDFC’s credit profile, and although core capital has taken a hit owing to one-off specific provisions in September 2015 (net impact on reserves: approximately INR16bn), it is still the highest among that of its peers. The identification of potential problem assets in September 2015, prior to the launch of the bank, has led to a spike in the stressed assets ratio, estimated at around 16%-17%. IDFC has aggressively provided for these problem assets to insulate the bank’s earnings and capital, although the increase is in sharp contrast to IDFC’s past asset-quality performance. However, loan-loss coverage is robust while the management has stated that the provisions are well above regulatory requirements. Reblogged this on Thought blog .